The UNCW Community Music Academy is an outreach program of the UNCW Music Department, designed to bring quality music instruction to community members of all ages and skill levels in Wilmington, NC. The Department of Music is housed in the Cultural Arts building, a state-of-the-arts building for the visual and performing arts. 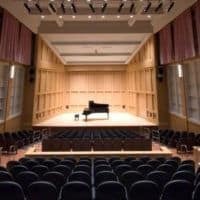 Among the numerous classrooms and performance venues, the Cultural Arts building features Beckwith Recital Hall, which is the performance venue for the RSIMC. 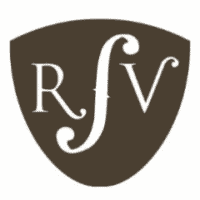 Ronald Sachs Violins, LLC has been in business for 20 Years, primarily in the Atlanta, GA market which currently has multiple locations. Their eighteen staff members are dedicated to providing the highest quality instruments and services available, at the very best price. For well over 50 years, we have loved our customers, and it shows. Our spacious, relaxed showroom is the perfect no pressure destination for the beginning piano student, the advanced player or the person who doesn’t play a note. Hopper Piano Company is proud to sponsor the Piano Area Finalist Prize for the RS IMC. 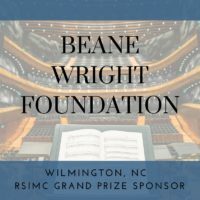 Beverly Andrews, violinist and concertmaster of the Wilmington NC Symphony, has been educating and encouraging the next generation of fine musicians in her private studio for over 40 years. “Passing on the love of music” has been her life motto. It is with great pleasure that she sponsors the String Finalist Prize. 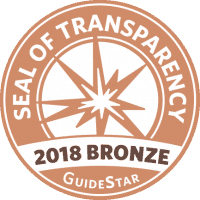 Our organization earned a 2018 Bronze Seal of Transparency on @GuideStarUSA! Now our community and potential donors, funders, and key decision makers can see our commitment to transparency and easily contact us for more information.